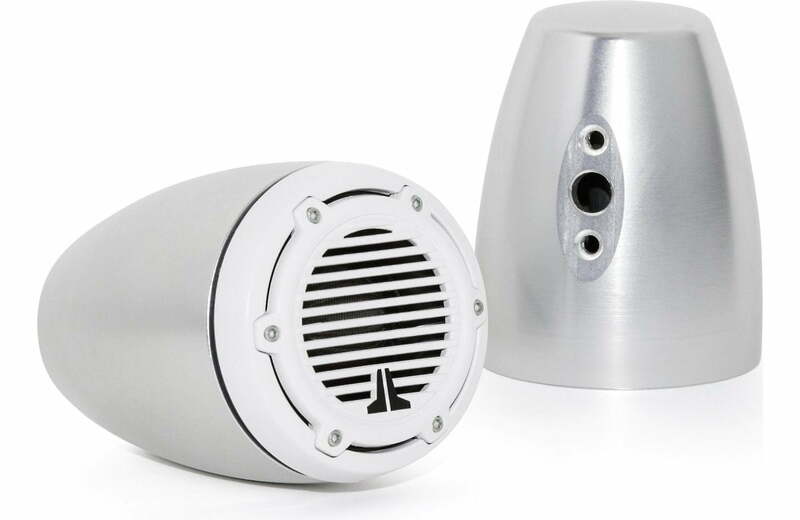 Adding a set of JL Audio MTPOD-M100-CL marine component tweeters to your marine audio system will raise the soundstage and dramatically improve your sound. 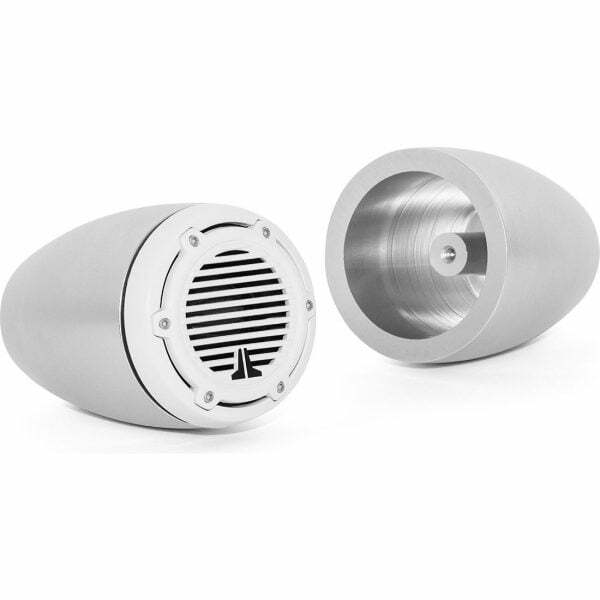 If you’re looking for a sleek, stylish way to mount your tweeters, you’ll have a hard time finding anything cooler than these billet aluminum tweeter pods. Designed specifically for JL Audio’s M100 tweeters (sold separately), these pods are machined from a single piece of billet aluminum and coated with a clear anodized finish, so they’re strong, sturdy, and corrosion-resistant. Your can surface-mount your pods, or install them on a deck — the choice is yours. A dedicated wiring pathway ensures a clean installation, no matter which option you choose. Each pod base is angled upward just slightly, to give you maximum sound dispersion from any location. Like all JL Audio marine products, MTPOD-M100 tweeter pods will stand up to the marine environment, giving you years of service. – Recommended Amplifier Power (RMS) – 40 – 175 W / Ch.